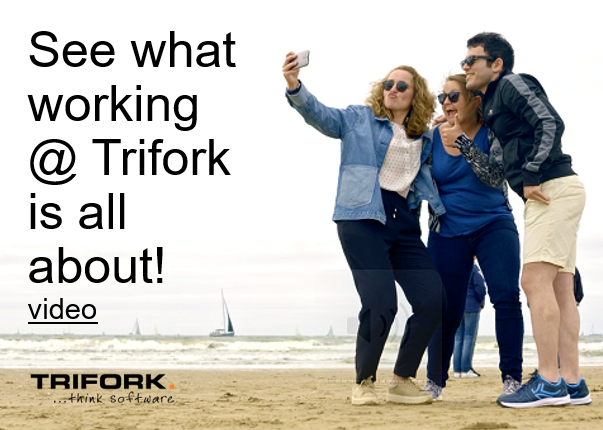 The contributions on this blog are mainly created by employees of Trifork Amsterdam. Some posts are created by guest bloggers or other people, on invitation only. Trifork is an international supplier of high-quality custom-built applications, end-to-end solutions including Machine Learning, for the enterprise market. We empower our customers by providing expert advice on the optimization of business-critical IT systems and cutting-edge technology while understanding their environment. We have a passion for technology and work with open-source technologies that are state-of-the-art, yet have a solid and proven base. We use Java and the Spring and Axon in our projects – technologies that we have been actively involved with for over a decade and provide training for through our GOTO Academy. We often apply domain-driven design and design event-driven architectures. When appropriate, we use Microservices, Machine Learning (ML), Artificial Intelligence (AI) and Internet of Things (IoT). At Trifork we have extensive experience with different databases (SQL, NoSQL, search engines) as well as a wide variety of integration-related technologies like messaging and REST- and SOAP-based web services. Trifork is the birthplace of the Axon Framework and as a result, we are one of the few companies with several years of production experience in applying CQRS and event sourcing. We embrace a cloud-native approach of building and running applications including practices like DevOps and Continuous Delivery. We enable our customers to seamlessly integrate and use technologies – bringing immediate value to our customers’ business and customers.